Standing yards from the Tower of London and Tower Bridge on the banks of the River Thames, the new Four Seasons Hotel at Ten Trinity Square is one of the most imposing additions to the capital’s hotel scene. 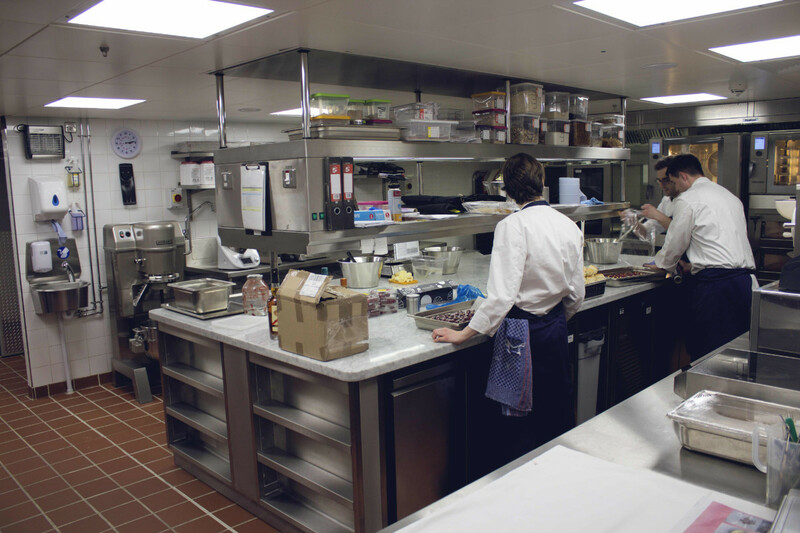 And, as FEJ reveals, it is also home to one of the most prestigious kitchen projects in London over the past 12 months. The Four Seasons UK Collection started out some 47 years ago when the hotel giant opened its first property in the capital. But the latest addition to its ever-expanding stable, located in a building that over the years has housed an important civic institution, hosted the United Nations and even starred in a James Bond film, marks the start of a new chapter in its history. The 100-room hotel has a big reputation to live up to and, as as is now the case for five-star hotels in Central London, the quality of its food and beverage offering is likely to define its status and commercial success. 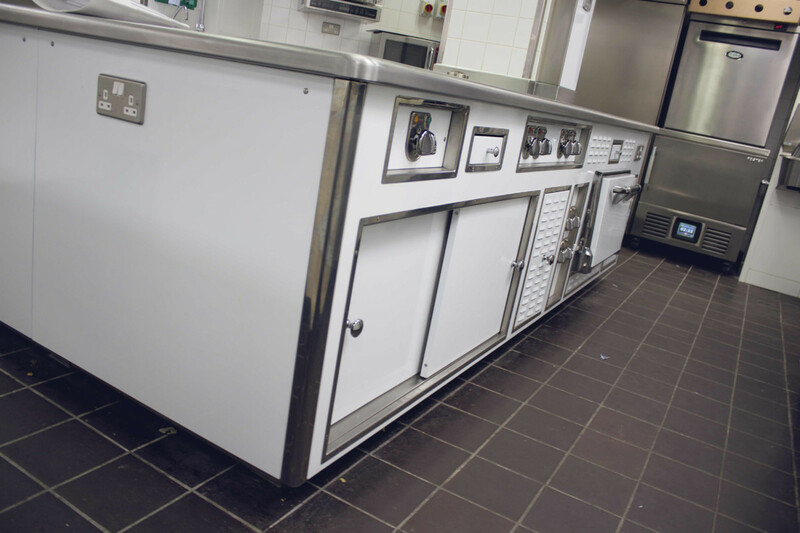 No hotel F&B operation can prevail without the right backbone behind it, which is why the hotel summoned the expertise of some of the best kitchen designers and project management specialists around to oversee the delivery of the catering scheme. 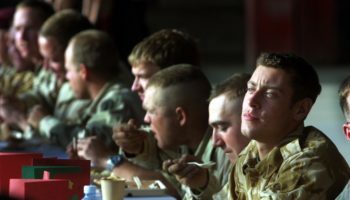 The overall project included the supply and installation of no fewer than five unique kitchen areas spread over three floors, a staff restaurant, full laundry facility, local and centralised plate and potwash rooms and refuse areas. Three bespoke front-of-house bars and two standalone support pantry facilities were also part of the scheme just for good measure. 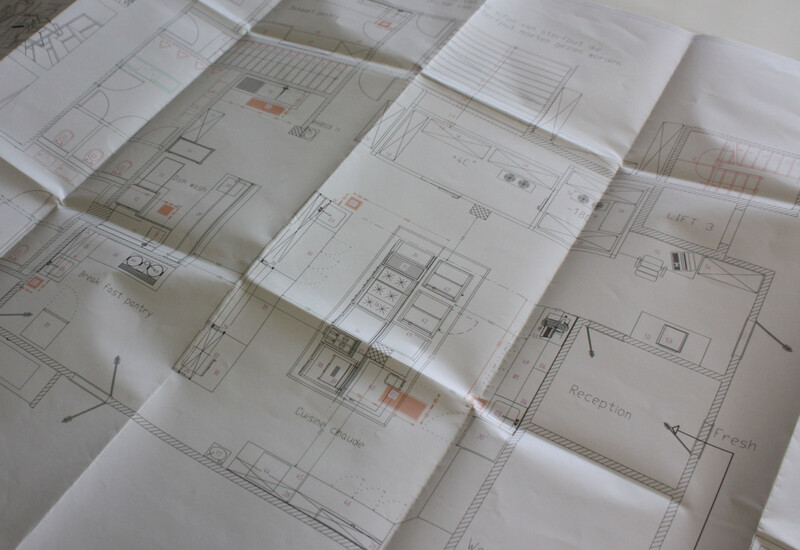 Main contractor Ardmore Construction appointed Hallmark Kitchens to develop and implement designs put together by SHW Design, with phase one of the project completed back in June 2016. Phase two was 95% complete prior to Christmas 2016, leaving additional scheduled works to be wrapped up by January 2017 ahead of the hotel’s official launch. 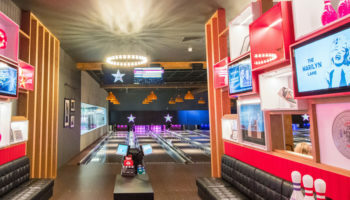 Hallmark has carried out prestigious projects for dozens of clients over the years, but even so the short fit-out schedule it was presented with meant it had to keep its eye firmly on the ball from the outset. Andrew Arnold, project director at Hallmark, says there was no room for slip-ups. 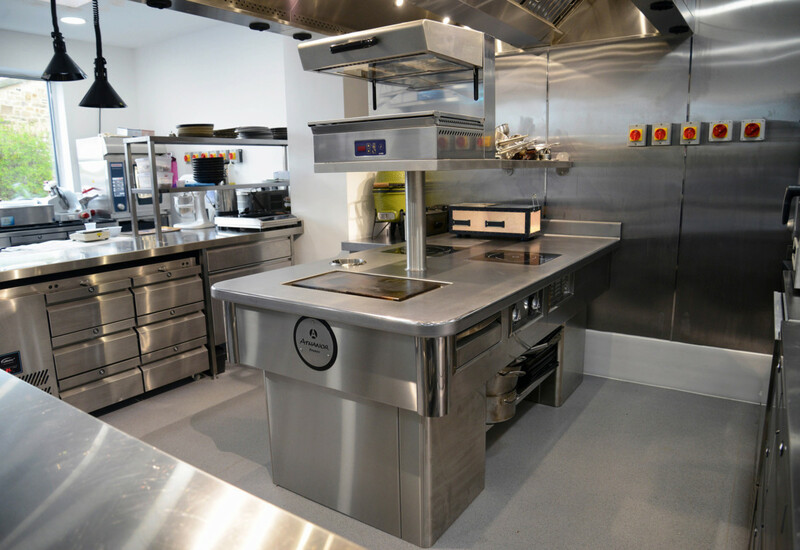 “The key challenge on this particular project was adhering to a very tight project deadline while delivering a huge installation and supply of catering equipment spread across many areas, as well as having to adapt to a change of plans when the client informed us that key areas we were working on had to be occupied ahead of the programme,” he explains. 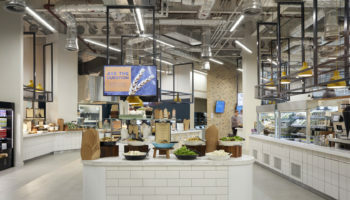 Working under pressure, the Hallmark team partnered with the main contractor, architect, numerous site trades, foodservice consultants and an extensive supply chain to ensure everything was handed over on time and to specification. 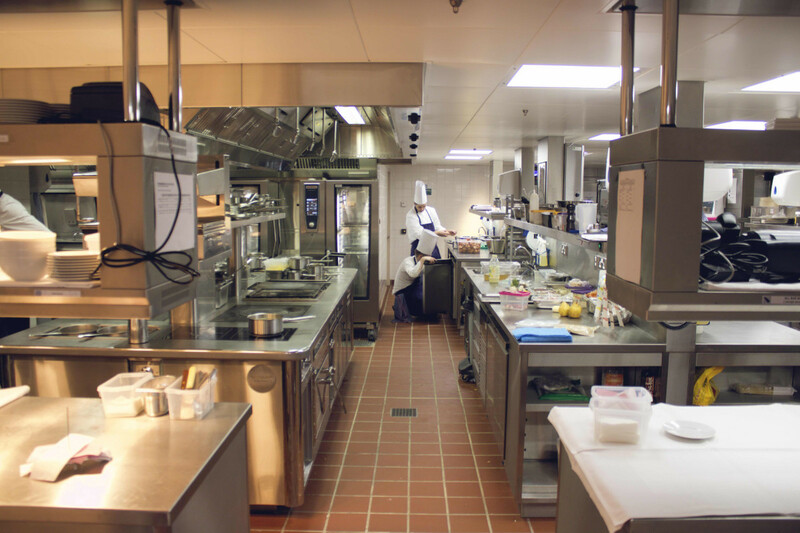 In fact, it even managed to hand the kitchens over ahead of the original deadline, much to Four Seasons’ delight. 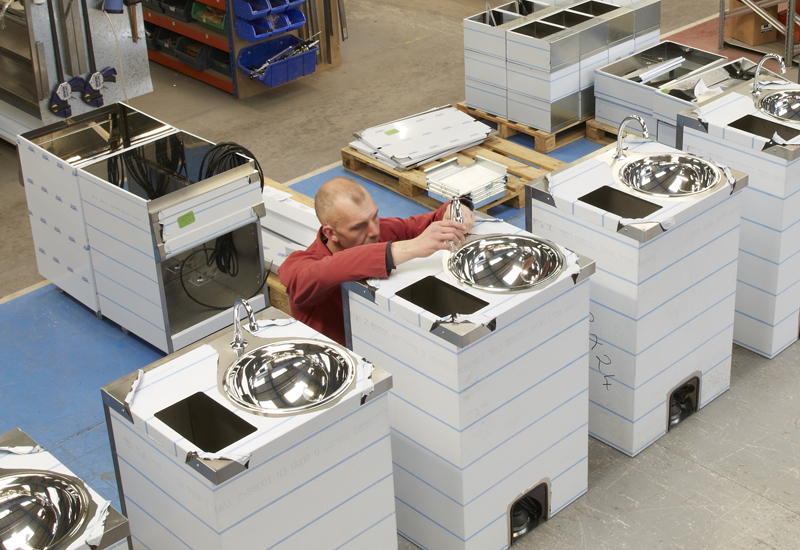 Some of the most renowned high-end kit was sourced for the job, including Athanor cooking suites, Molteni stoves, Hobart bratt pans and mixers, Rational combi ovens, Wiesheu baking ovens, CookTek induction, Hoshizaki ice machines, Irinox blast chillers, MTH coldrooms and Foster refrigeration cabinets. Four Seasons, which has sister properties at Park Lane, London, and in Hook, Hampshire, hopes that the investment in kitchen and catering facilities will make Ten Trinity Square the place to go for exquisite dining and creative cocktails in a sophisticated atmosphere. The headline restaurant for the site is the 78-cover La Dame de Pic, which showcases the culinary vision of Anne-Sophie Pic, currently the only female French chef to hold three Michelin Stars. For her London debut, Pic brings her signature approach across the Channel, choosing to source ingredients from the very best local farms and markets. In her carefully-crafted seasonal menus, culinary enthusiasts can expect to see items such as Hereford beef or Dorset crab prepared in the French style. A second culinary hotspot, meanwhile, is bringing the latest in Asian gastronomy to London. 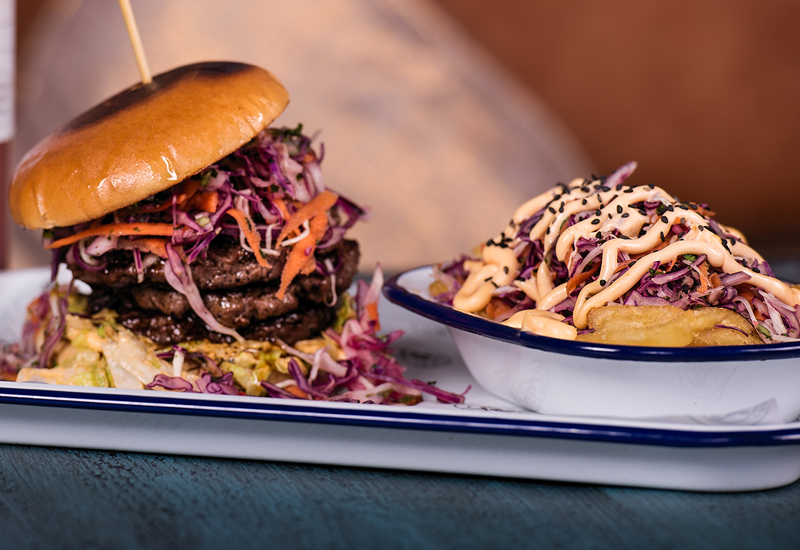 The 86-cover restaurant features the foods and flavours of China and Japan, with a sushi bar rounding out a lively celebration of two of the world’s most celebrated cuisines. Both restaurants are supported by The Rotunda, stylish lounge serving light breakfasts, mid-morning coffees, lunches and afternoon teas. 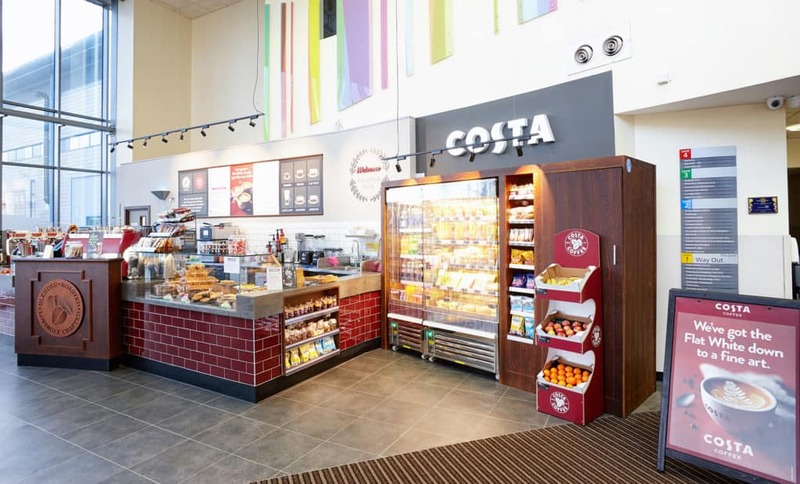 Foodservice design consultancy SHW Design had a bird’s eye view of the whole operation having been appointed to undertake the full design consultancy for the F&B areas, plus housekeeping and laundry. So how much did the heritage and age of the building influence the design and space of the kitchens? 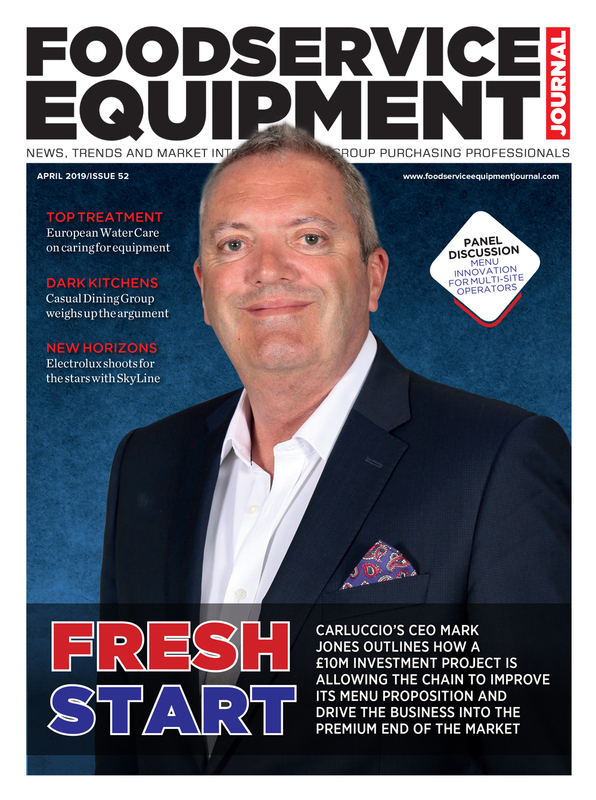 As a foodservice consultant, SHW Design’s first priority is to ensure the equipment is correctly specified and located, and from there it works with the operators — in this case Four Seasons and Anne-Sophie Pic — to select the right manufacturers. “With each they have their own brand standards for us to work with, supplemented with our recommendations,” explains Sefton. When it comes to equipment highlights, he swiftly picks out two: “The white-enamelled kitchen fabrication with stone tops by Proline Corp to match the signature look and feel of Anne-Sophie Pic’s kitchens [pictured top half of the page]. And the cold room refrigeration system by Green Cooling has a built-in heat reclaim system using residual heat output towards the heating of the main and spa swimming pools,” he says. Four Seasons Ten Trinity Square is relishing the opportunity to carve out a name for itself in London’s ultra-competitive dining scene and it’s given itself the best chance of success with a catering operation among the most highly specced around. 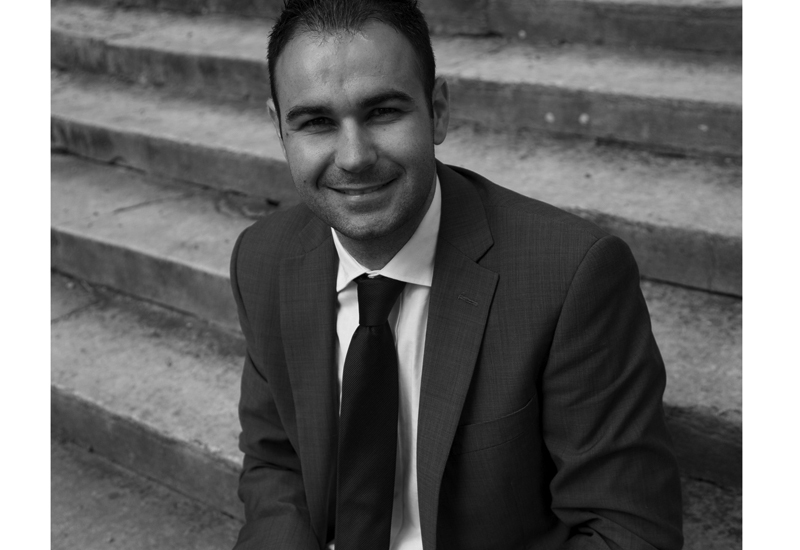 Antoine Corneille is the director of food and beverage at Four Seasons Ten Trinity Square and the exacting eye behind endless elements that create a standout destination for guests and locals in a booming City dining scene. Having been with the group for 13 years, including as F&B director of its George V hotel in Paris for five years, Corneille understands what guests expect. 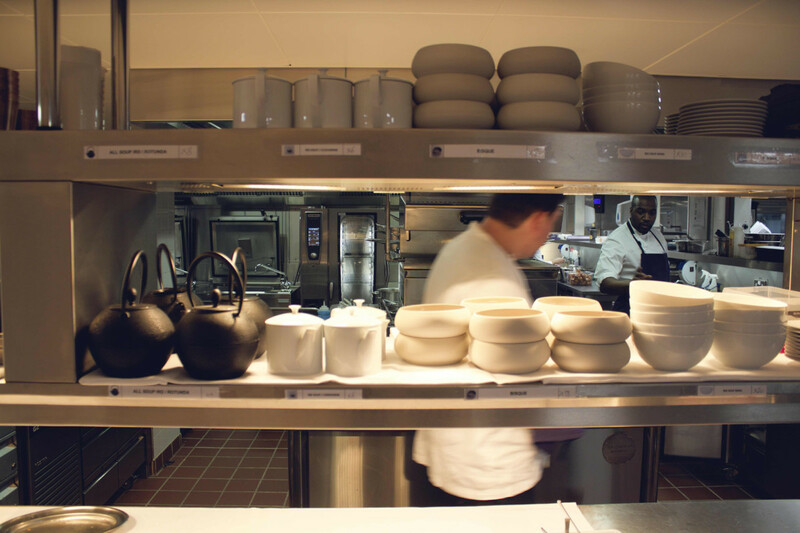 Corneille’s first few months at Ten Trinity Square were a whirlwind that involved rounding up the right people with the right talent to deliver the experience it promises, and selecting tableware and myriad other details to “make the place stunning”. 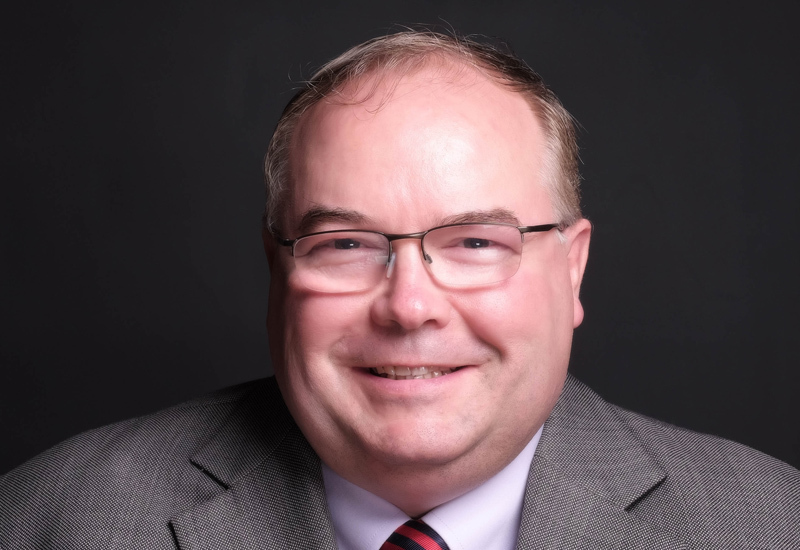 He also had to put together a banquet operation worthy of the hotel’s historic ballrooms to create a hotspot for weddings and events — all while keeping a sharp eye on expenses. “The challenge was to respect the pre-opening budget but heighten the quality of everything. There are so many dining concepts available in London. I find the competition inspiring; we just have to be sure of ourselves and of what we create,” he says. Little details go a long way. Corneille points out that the water glasses he selected for La Dame de Pic, the hotel’s signature French restaurant led by Michelin-starred Anne-Sophie Pic, were deliberately selected for their distinctiveness. Corneille chose similarly dazzling but distinct blue water glasses for the hotel’s pan-Asian offering as well, though he went against the grain in styling other aspects of the restaurant. “All of the Asian restaurants I’ve seen here in London are based on the same style and design. So the question for me was, am I going to do the same?” The answer to that is no. In keeping with the restaurant’s lively setting, Corneille sourced bespoke chinaware and special linen for authentic specialties.